Welcome to Deer Valley Resort, the five-time resort winner of Ski Magazine’s readers’ award and event host for the 2002 Olympics. Known for its service, Deer Valley Resort offers free ski valet and ski check, award-winning ski school programs, and gourmet on-mountain dining.  The residential neighborhoods around this world-class resort offer some of the most attractive real estate offerings in and around Park City. Divided into four separate areas, Lower Deer Valley, Deer Crest, Upper Deer Valley, and Empire Pass, real estate options include everything from build to suit land, condominiums and townhomes, and ski-in/ski-out custom Deer Valley homes. The award-winning St. Regis at Deer Crest, perched just above Deer Valley Resort’s Snow Park Base, offers full-ownership options for those wanting to sit in the lap of luxury. Beyond ski-in/ski-out access via the private funicular, the St. Regis has world-class amenities including fine dining, poolside lounging, and après ski…complete with an ice bar. Just below Snow Park sits Solamere, The Oaks and Hidden Oaks, featuring ski and mountain views and abundant wildlife. Up the hill from Snow Park, Silver Lake Village is comprised of restaurants, ski boutiques, and Deer Valley Resort’s Silver Lake Lodge. New to the market, Stein Eriksen Residences offer some of the most coveted contemporary ski properties available. With stunning modern design and 5 star amenities, they boast stunning homes and condominiums offer all the services you could hope for. Other Upper Deer Valley exclusive neighborhoods include Bald Eagle, American Flag, and Evergreen. The Empire Pass neighborhood is nestled into the highest point of Park City’s ridgeline. Empire Village residents enjoy easy access to a members only club featuring fine dining, pool, gym, and activities. One Empire Pass, Nakoma, and the Belles at Empire Pass offer a variety of mountain living opportunities that provide residents with a restorative base in one of the finest ski resorts in North America. Whether you are looking for a comfortable ski condo or a stunning contemporary home, Deer Valley has your dream property at hand. Reach out for more information on this coveted Park City area.